"I felt embarrassed coming to Burn It at the beginning but I have learned to love it! Starting now will mean you can worry less, later! It’s a horrible place to be when you let people impact how you feel, be confident, be yourself, don’t let anyone else define who you are." As a teenager I always struggled with my weight. The first couple of years at academy were tough but bearable. My Mum supported me to attend slimming classes. Looking back now Slimming world, weight watchers and Scottish slimmers were a waste of my time. At the time they did have a positive impact on my life, but this was only temporary. In the long run I was left feeling defeated and everything I lost I put back on and more. One memory I vividly remember from school was a day we had PE, a friend forgot her kit, I offered her my spare, In the end I wish I had never bothered! The kit was obviously huge and couldn’t be used, which I accepted but it gave people a reason to pick on my weight. This left me feeling deflated and put me off taking part. In general, I felt self-conscious about myself, but this was the icing on the cake for me and I needed a way to deal with how my weight and others were making me feel. My only escape was starving myself. 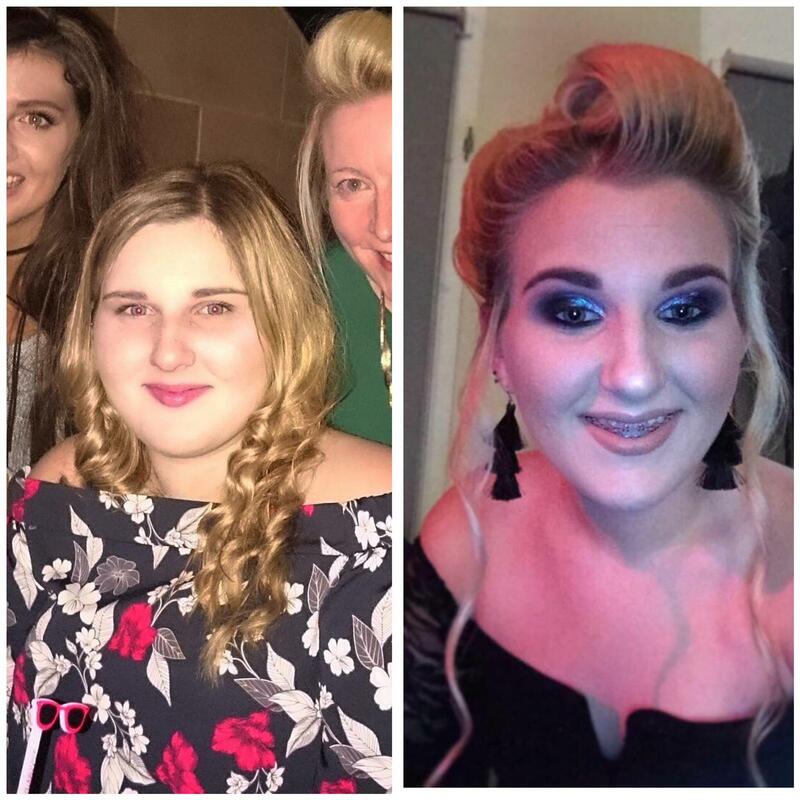 Looking back, I would never recommend starving to anyone and I now realise not only how unwell I made myself look and feel but how much I was no longer knew the girl I had become. I would eat nothing or very little I was given and bin the rest, but it was a long time before anyone picked up on this, even those closest to me. I was in my third year at academy, aged 14 and that’s when my family finally knew what I was doing. I would encourage anyone going through a similar situation to exercise, get up and get out, it’s a great escape, push yourself out of your comfort zone, you won’t regret it! I felt embarrassed coming to Burn It at the beginning but I have learned to love it! Starting now will mean you can worry less, later! It’s a horrible place to be when you let people impact how you feel, be confident, be yourself, don’t let anyone else define who you are. At age 14 this was not the end of my journey, that was merely just the start. I did gain my self-confidence back, but nothing stopped comments being made. In 2014 I made the best decision of my life and joined Burn it alongside my mum, as a friend had recommended it to us. I was willing to give anything a bash. Although I was still not healthy in myself from starving, I was getting back to myself and managed to achieve my first ever half marathon in 2015. From there my way of coping was at the other end of the scale, comfort eating. My journey from there has been an up and down hill battle and this was the case until the start of 2018. In January of 2018 I participated in my first body transformation programme however due to my lack of motivation did not achieve the goals I wished to. In April of 2018 I went a family holiday to Florida and on returned weighed very close to 17 stone, the largest I had EVER been! It was at this point when my real journey began, I knew I couldn’t be this person anymore and I needed to change. I started to better myself again, although my progress was slow, I was finally making positives steps to becoming the best version of myself I could be. In August 2018 I participated in Body transformation+ this was where my real progress started. The ten weeks were far from easy and did present challenges, but I learnt from these difficulties. Through sheer determination and the support around me from fellow transformers and family I went on to win runner up of the body transformation programme aged 19, however for me this was not the biggest achievement, my biggest achievement was creating the best version of myself. I have never been healthier, happier and fitter since I was a child. Burn It Fitness has opened my eyes to what it means to live a healthy, happy life, which I wasn’t living before. Without the help of Burn It at such a young age I would be likely to continue battling with my weight and self-esteem for the rest of my life but for me, I will never be left feeling that deflated about myself EVER again.